The New Year is coming up quickly and with it, a resolve to make some goals. We’ve all been in the situation where we make solid fitness goals, only to find ourselves losing our motivation a week or two into the year. 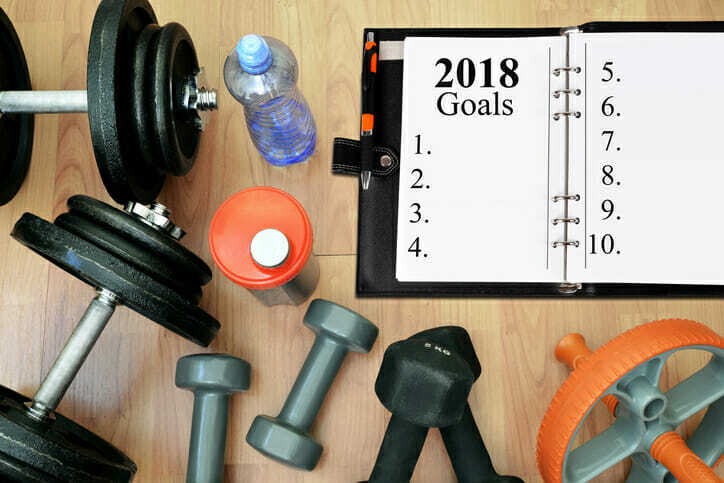 Today, we’re sharing some tips to help you make your fitness goals stick this year. When you look good, you feel good, so it’s important to treat your body right. Create incremental goals. These goals should be placed somewhere where you see them daily and should be attainable – small enough to make steady progress toward an ultimate goal. This helps you see progress, instead of stressing about the overall goal. For example, instead of focusing on something like losing 80 pounds to be at your goal weight, focus on losing 2 pounds by a certain closer date and make a new goal once you’ve obtained that one. You know your body the best, so set goals that are attainable. Don’t be too hard on yourself. When you don’t reach a certain goal, (when, not if, it will happen) be kind to yourself. Celebrate the fact that you’re going to keep trying. When you’re hard on yourself, it often leads to discouragement. This can make it even harder for you to keep your resolve and work towards your fitness goals. Seek support from your family and friends. When you have a strong support system and someone to answer to, it helps strengthen your resolve. This is a large reason why weight loss groups have gained popularity and can work well. You don’t necessarily need join one of these, but finding your support system can make a big difference. Whether it’s with an exercise group, weight loss group, or simply your family and friends, it’s important to find people who will boost your motivation when it’s lacking. Don’t give up! We hope these tips will keep you motivated to reach your goals this year. Here at RPT, we’re looking forward to the New Year. With it, comes the opportunity for growth and another year of serving you and our community.